Donna Landry investigates questions of travel, mobility, and empire not only in the archive but in the field. The three great Muslim empires that pre-dated European colonialism are crucial to the MOVES story. See, for example, the ‘virtual Evliya’ exhibition, envisaging ‘Our Shared Europe’, and the essay ‘Said Before Said’, Debating Orientalism, ed. Z. Elmarsafy, A. Bernard, and D. Attwell (2013). With Gerald MacLean, Caroline Finkel, and Ercihan Dilari, Landry pioneered the 2009 Evliya Çelebi Ride, following 1000 kilometres of the pilgrimage route to Mecca of the Ottoman traveller Evliya Çelebi (1611- c.1687). The project led to the establishing of a UNESCO cultural route, the Evliya Çelebi Way and a co-authored guidebook, available here. Immersive travel can be de-Orientalizing, revising Western modes of thinking and feeling. Landry’s book Noble Brutes: How Eastern Horses Transformed English Culture (2009; Turkish translation 2015) revises our understanding of Anglo-Ottoman relations from the vantage point of the horse trade. The co-edited collection Cosmopolitan Animals, with K. Nagai et al (2015) and essays such as ‘Evliya Çelebi, Explorer on Horseback: Knowledge Gathering by a Seventeenth-Century Ottoman’, in Curious Encounters: Voyaging, Collecting, and Making Knowledge in the Long Eighteenth Century, ed. A. Craciun and M. Terrall (2018), and ‘Rewriting the Sea from the Desert Shore: Equine and Equestrian Perspectives on a New Maritime History’, in Trade and Cultural Exchange in the Early Modern Mediterranean: Braudel’s Maritime Legacy, ed. M. Fusaro, C. Heywood, and M.-S. Omri (2010) further these innovations in human and nonhuman mobility studies. Landry continues to ride, guide, and promote slow travel as a form of cultural encounter and multispecies cross-cultural exchange. 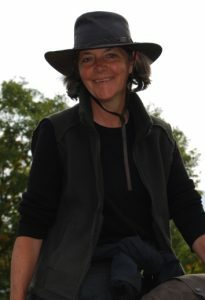 Her current projects include a collaboration with Gerald MacLean, author of The Rise of Oriental Travel (2004) and (with Nabil Matar) Britain and the Islamic World (2011), on Britain’s relationships with Kurds and Kurdistan from 1591 onwards, and a book on Waterloo, horses, and the Eastern Question, a new approach to military history. Donna Landry will co-supervise two MOVES research projects: “Society and the Cultural Drivers of Migration” and “Functions of Travel and Types of Migration”.